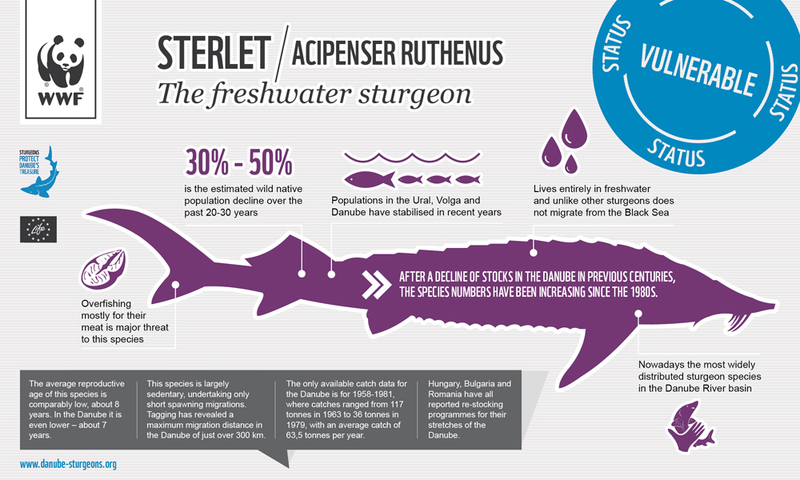 Sterlet (Acipenser ruthenus) lives entirely in freshwater and unlike other sturgeons does not migrate from the Black Sea. Tagging has revealed a maximum migration distance in the Danube of just over 300 km. Nowadays it is the most widely distributed sturgeon species in the Danube River basin. 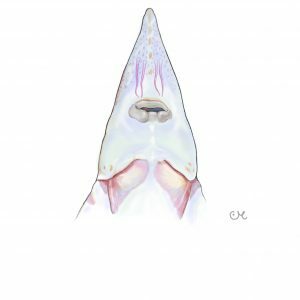 The average reproductive age of this species is comparably low, about 8 years. In the Danube it is even lower – about 7 years. It is listed as Vulnerable. After a decline of stocks in the Danube in previous centuries, the species numbers in the region have been increasing since the 1980s. However, in Serbia, due to poaching of sturgeons below the allowed size, Sterlet populations are decreasing again. The only available catch data for the Danube is for 1958-1981, where catches ranged from 117 tonnes in 1963 to 36 tonnes in 1979, with an average catch of 63.5 tonnes per year. Hungary, Bulgaria and Romania have all reported re-stocking programmes for their stretches of the Danube. It is assumed that this is the only sturgeon species in Serbia which still can be found upstream of both Iron Gate dams. Overfishing mostly for their meat is major threat to this species. Populations in the Ural, Volga and Danube have stabilised in recent years. Lives entirely in freshwater and unlike other sturgeons does not migrate from the Black Sea. 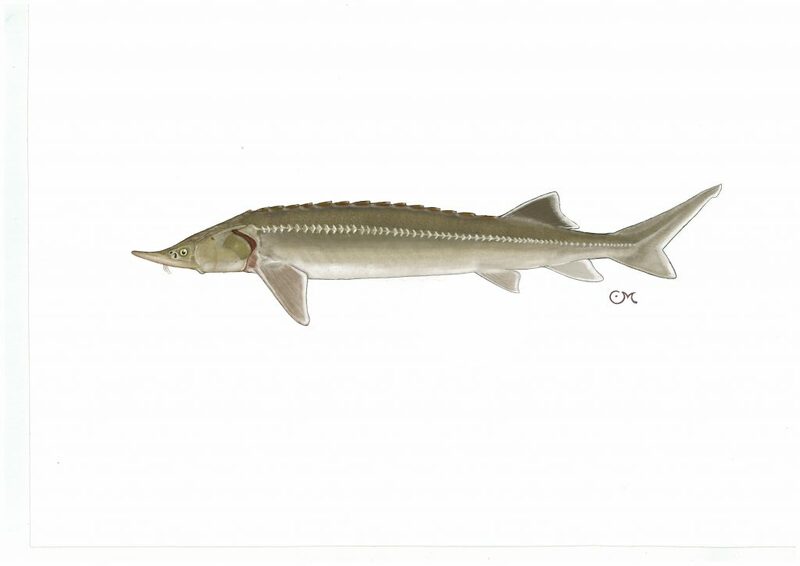 Nowadays the most widely distributed sturgeon species in the Danube River basin.